Montreal is one of the biggest and most progressive Canadian cities, but also the most impoverished metropolitan area in the country. As per the President and Executive Director of Centraide of Greater Montreal, 25% of Montrealers live below the poverty line. Despite of this, the city has a low criminality. This is attributed by the organization to a strong sense of community and the social responsibility of the entrepreneurs in town. TechAide is a poker tournament that brings together the Montreal tech community to raise funds for the 343 organizations that Centraide supports financially. It was conceived by Alan MacIntosh, partner and co-founder at Real Ventures, Canada’s largest and most active seed venture fund. This is its second year, and has higher goals than last year. It raised $21,000 in the pilot year, they are aiming to bring in ten times that figure, and get at least 50 companies to participate in the event. As a unique novelty, TechAide has partnered with DeepStack, the first AI in the world to have beaten pro poker players. The early rounds of the tournament are going to be played within the companies who sign up. The winners from this stage will then play in the semi-finals, with the final ten facing off against each other and the AI in November. There is some certainty on who (or rather what) is going to win the tournament. All the funds gathered will be given to Centraide. The activity is supported by distinguished figures, among them Pascale Audette, CEO of Carebook; Mitch Garber, president and CEO of Caesar’s Interactive Entertainment and Chairman of Cirque du Soleil; Shibl Mourad, Google Montreal site director; Philippe Beaudoin, VP research group and co-founder at Element AI; Marie-Josee Lamothe, managing director of consumer products and automotive at Google; and Marc-Antoine Ross, co-founder at PasswordBox and director of data engineering at Intel Security. Get all the latest Betting and Sport News updates on your social media outlets. Find us on Facebook. At the event were also representatives from organizations helped by Centraide’s funding, such as Christophe Hotte, a youth worker for PACT de Rue — “Projet Ado Communautaire en Travail de rue” (Project for Community Street Work for Adolescents); representatives from Baobab familial, an organization that supports low-income families, refugees and new immigrants; and Santropol Roulant, a community food center that delivers meals to the elderly by bicycle among many other activities. 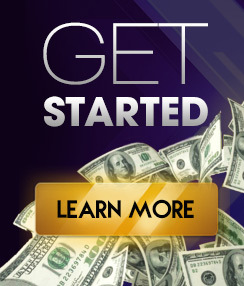 Sign up now at Regalpoker.com.